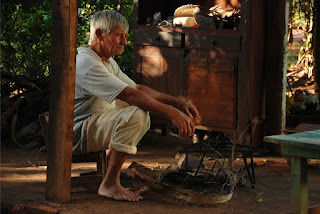 The Paraguayan painter and director Enrique Collar returned to his native village to film with the people he portrayed for 15 years. In a story based on real events the villagers play themselves or their neighbors. .
Novena is a co-production of AS Film with Areachika cine. The film is financially supported by Thuiskopiefonds (NL) and Fondec (PY) and post production support by Rotterdam - Art & Culture and Maison de L'Amerique Latin in France.